In previous years, water and moisture have been flooring’s worst enemy, but our waterproof flooring in Worcester, MA, is changing that. You often can’t help getting your floor wet, and we believe that a few ill-placed accidents shouldn’t be the end of your flooring investment. That’s why we stock floors that can stand up to water while retaining their beauty and your property’s value. Now you can keep your mind at ease and enjoy bringing your favorite materials to parts of your home you never thought you could, like kitchens and bathrooms. Waterproof vinyl, for example, allows for easy cleanup even years after it’s installed. Just wipe up the mess, and that’s it. Plus, vinyl is one of the flooring’s most versatile materials, so it can imitate any look or style and achieve almost any aesthetic. You’ll find all of the choices you could want in our showroom and can schedule a free consultation to learn more. We gladly offer recommendations for whatever space you have in mind. You don’t need to rifle through the phone book trying to find a contractor; we save you time, money, and energy by offering you our professional installation service. We know our products better than anybody else and have the experience and tools needed to install them, so they stick with you for the long haul. By shopping with us, you get everything you need from one place and can have all of your questions about waterproof flooring answered by experts. Typically carpet was one of the materials that don’t do well with water, but recent advancements have led to the development of waterproof carpet that’s moisture-resistant. The fibers are designed to prevent spills from setting and consequently ruining the floor. You receive the plush comfort of carpet on your feet and the warmth it gives off without having to worry that one upturned drink will be the end of it. Say goodbye to barring drinks or pets from carpeted areas. Now you can let your kids and dogs or cats play freely on the floor and not fret about someone bringing a glass or bottle into the room. Just stop by our store, and we’ll help you find the perfect waterproof carpet for any room. Our associates are always ready to assist you at any point of your flooring project. 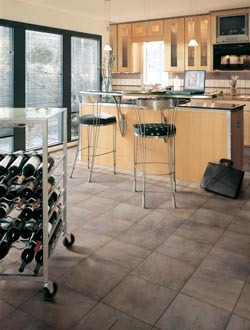 Contact us or come by our store to browse our wide selection of waterproof floors. We serve the community of Worcester, Massachusetts, and the bordering neighborhoods.